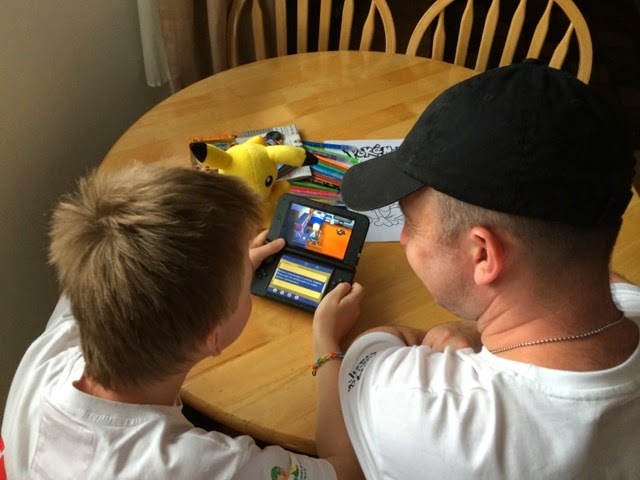 One Busy Mum: Pokemon Fun on Fathers day. 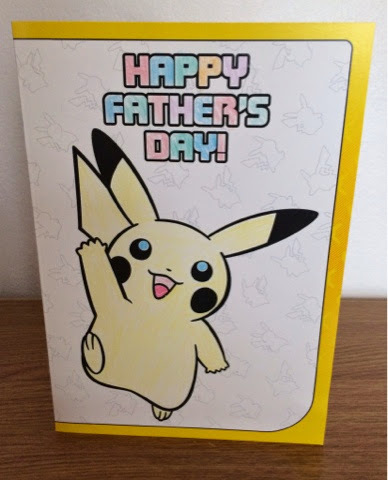 Pokemon Fun on Fathers day. 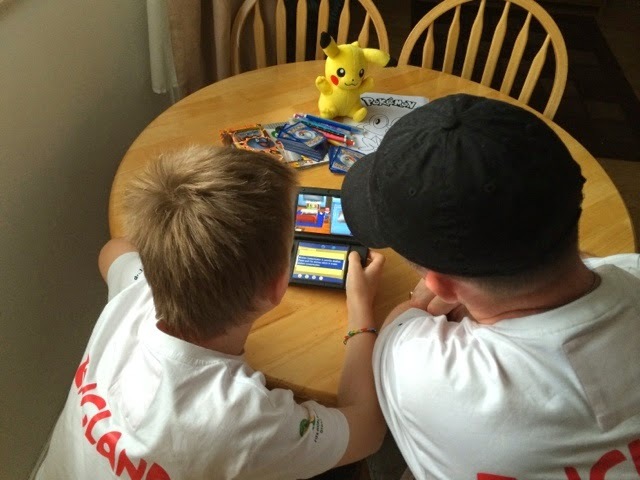 My Son and his dad love to spend quality time together, they enjoy going to the local park for a kick about since they both really love football, they also like to play computer games together. 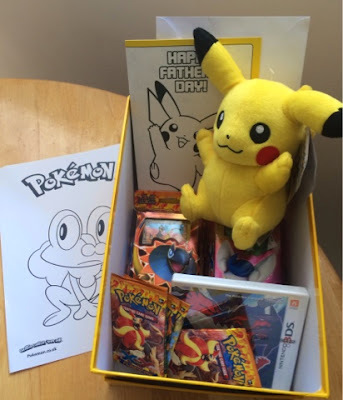 So when my son received an amazing Pokemon gift box to share with his Dad on fathers day he was very excited, there were loads of things to keep them entertained for the day..such as a couple of Pokemon theme decks Brilliant Thunder & Mystic Typhoon Trading card games...but first they couldn't wait to get stuck into the new Pokemon Y game for some fun and adventure...this has given them another great opportunity to spend more father and son bonding time together..